In software development, the intention is to discover and detect where a potential problem might occur in the overall process to speed it up and minimise time and costs. The focus is on iterating and steering the project to success as it develops rather than creating a lot of software before showing it to the end user – to minimize the risks involved in their acceptance of it. This enables developers to test their products and get immediate customer feedback to ensure that what is being developed is in tune and aligned with what customer’s think they might want or want. How can failure be perceived as feedback? Doing this builds customer intimacy and empathy as to what constitutes value in their eyes because feedback, whether positive or negative, is an important enabler towards adapting and responding quickly and continuously. Learning from this agile way of working, we can see that it takes the “heat” out of “failure” as an emotional word, a visceral experience, and perpetration against someone. Once a vivid picture of success has been envisaged it allows us to potentially reframe failure as “feedback.” That enables people and organizations to adapt, respond, iterate, pivot and continuously improve behaviours, systems, and processes to provide increased value for people and customers. What gets in the way of applying this rationale? Growing up in western civil societies and school systems, we learn to see failure as a mistake, as some kind of shortcoming, stupidity or imperfection that we are responsible for and feel ashamed about. We often feel that we must make excuses for it and apologise for it. In fact, we live in a world where governments fail, relationships fail, businesses fail – so none of these failures are a cause for celebration and could be considered as mere signs of ideas in progress. When we fail, we unconsciously sink into a series of reactive responses that engage us neurologically and emotionally resulting in a range of irrational cognitive (thinking and feeling) distortions, which usually involves disappointment, confusion, and shame. We then move away from and avoid solving the problem because of these pervasive un-resourceful states and act defensively, which usually involves laying blame, justification and excuses and even denial. When we are made to feel "wrong" (by our own internal processing or externally by others), we know that we both self-judge and that others will make a judgment about us. When we find ourselves being judged in this way, especially for making any kind of mistake, that people make unfair and often generalised and distorted assessment of us and then delete all of our other abilities. This affects us deeply and in effect, we “be-come” the failure, feel violated, disappointed, ashamed and fearful of its punitive consequences: being fired, disregarded for promotions and special projects, and may even be required to “fall on your sword” at the expense of others. When we are willing to take a reflective stance and hit our “pause button” and “work with” what really goes on when mistakes and failures are involved, we can cultivate the self-awareness, self-regulation, and ultimately, the self-mastery to deal with it consciously and constructively. We can uncouple our own and teach and coach others how to uncouple their fears to support and enable people to “normalize” failure, and develop tolerance to surprises and problems and shift the way we think and feel about making changes and taking risks. If you aren’t experiencing failure, then you are making a far worse mistake: you are being driven by a desire to avoid it. And for leaders, especially, this strategy – trying to avoid failure by outthinking it – dooms you to fail. My goal is not to drive out fear completely because fear is inevitable in high stake situations. What I want is to loosen its grip on us. While we don’t want too many failures, we must think of the cost of failure as an investment in the future. Leaders who enable and empower people to think, feel, and act in this way will advance change, creativity, invention, and innovation in their organization and advance “Fail Fast” agile concepts and create a fearless culture. 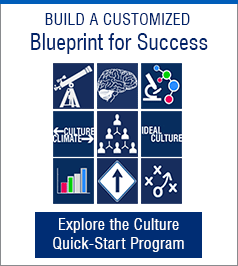 If you have experience in a "fail fast" organizational culture, what lessons can you share? Was the company culture fearless or fearful? I look forward to your thoughts and comments. Janet is the Founder & CEO of ImagineNation™, a global enterprise, innovation consulting, education and coaching company. Janet has 29 years of experience consulting and leading culture development, change management, leadership, and innovation-education programs to some of Australasia’s and Israel’s top 100 companies.